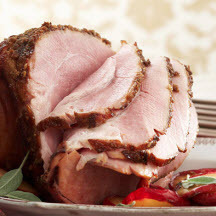 CooksRecipes has quality, kitchen-tested recipes for ham that you can count on for successful deliciousness. 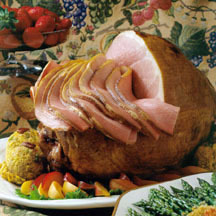 Find recipes for special occasion and holiday-worthy baked hams, slow-cooker hams, grilled hams, glazed hams, spiral hams, hams in pastry and country hams. A ham without glaze is like a cake without icing! Choose from three tasty glazes, Five-Spice Plum, Maple Pecan or Cranberry Glaze. Few holiday meats are easier to cook than ham—and this one will bring the very graciousness and warmth of the South to your table. 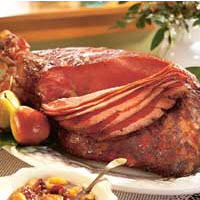 This easy ham recipe is perfect for a festive meal, the sweet honey-orange glaze adds just the right finishing touch.